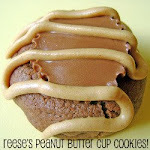 Life or something like it...: Peanut Butter Cup Cupcakes! Coming home this weekend I was itching to bake some cupcakes. 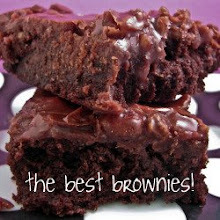 You can easily replace the cupcake recipe with a boxed devils food cake mix. 4. Add the melted chocolate and vanilla to the batter, and stir well. 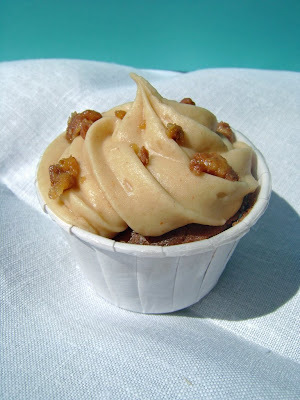 Pour the batter into the paper cups, and bake until a cake tester comes out clean when inserted into the center of a cupcake, about 30 minutes. Remove cupcakes from the oven, and allow them to cool briefly in the muffin tin before removing them to a wire rack to cool completely. peanut butter and chocolate anything is my fav! very cute...i love pb & chocolate. where do you get your cupcake liners? i have been looking for them but have yet to find them! 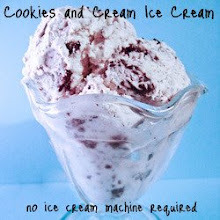 Great picture and recipe! What did you use as a garnish on the top of the icing in the picture? Thanks! I enjoyed making these cupcakes! The cupcakes are garnished with pieces of Reese Candy. The cupcake liners are called party nut cups and I got mine at Michaels craft store . These look really incredible! I saw the photo on flickr and just had to come check out the recipe. I've never actually made cupcakes from scratch... been itching to try, though, and these might just be the ones. In my house, we can't pass up anything with peanut butter :).